Images ACEA / Abner Kingman & Gilles Martin Raget. || What an incredible Journey , literally a Roller Coaster ride. Two great teams showing the rest of us how its done. The Legacy of the highest tech available to the service of winning an Americas Cup set by Lipton, Vanderbilt (named them today before Bobby Fischer at the Live broadcast, to remind some people what the Americas Cup is all about.. ) and the likes has been truly honored by the Foiling Winged AC72s flying at 40knots, but mostly and at the end it was a sailor's Regatta. So forget a moment of all the technical details we've been discussing at large in the past. Sailors from both teams (Design, Shore & on board Crew) are the final responsible of the exceptional event we are be able to witness Live. We can only thank all of them for the guts and determination they are showing, we are privileged to seem them in their prime. 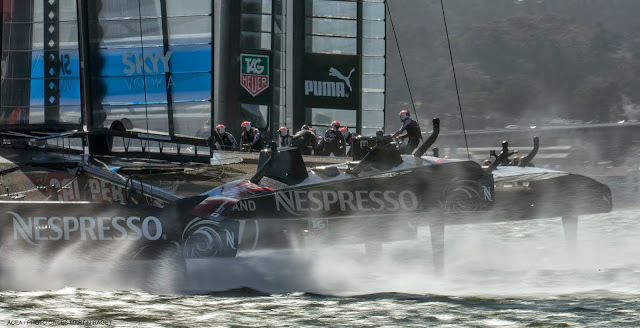 Three years ago Oracle set the rules for Multis, New Zealand accepted the challenge, in the process they built the best boat , achieved the best handling and most important they set their 'own rules' forcing everyone to follow their Foiling concept. 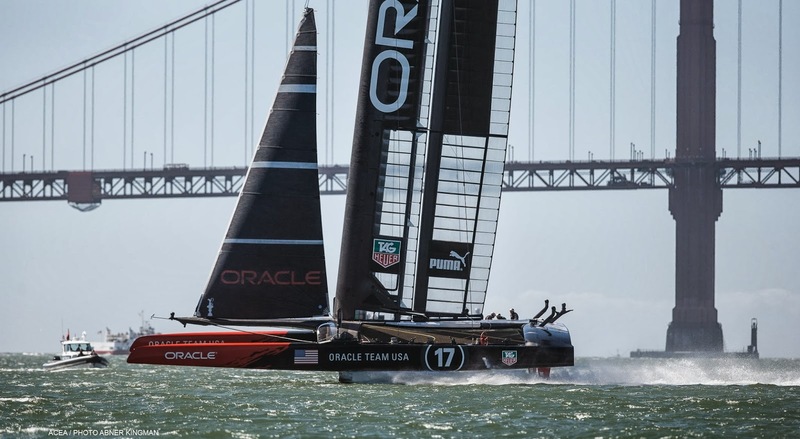 Oracle didn´t had easy times catching the game change and they follow the leader to give themselves a chance. 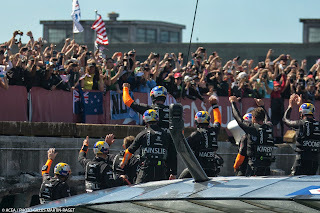 Once the race started TNZ simply dominated and sent Oracle to re think their design, settings , handling & strategy altogether, TNZ had the Cup at hand, they even were 1 mile from taking it home. No, no one thought a comeback was possible, all we wanted were more races! But not in our wildest dreams imaginable there was room for miracle, how come? If New Zealand was dominating at will. Nevertheless Oracle worked hard nights with their shore crew, they also learned some new handling tricks and went aggressively pedal to the metal to hunt the Kiwis. 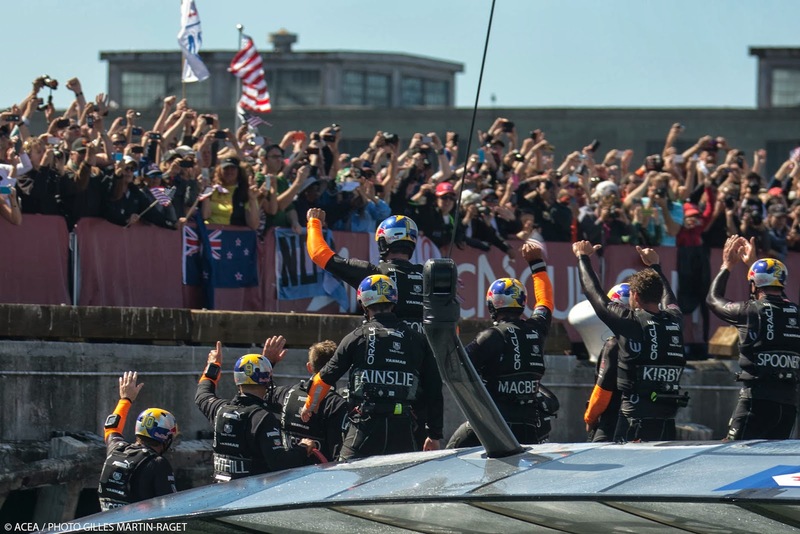 They ended turning the Status Quo upside down to put NZ in the place OR started this Regatta. Following the leader they became Masters in their own right, they now have matched that flawless perfection label I once assigned to TNZ. Count for me how many errors they had since they started to be against the wall? Maybe today's last start? Now we've reached an incredible Tie, an 8-8 that will be broken in next completed race no matter what. 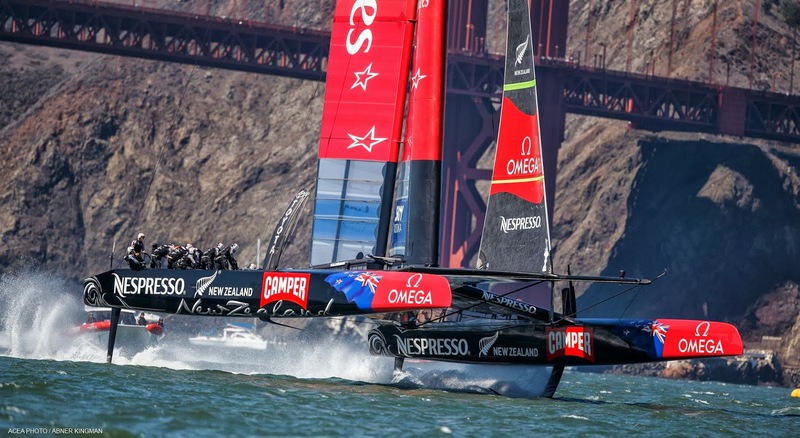 At this stage I'm happy with any of them taking it, both deserves the Americas Cup. Any result will be outstanding, either way. Yesterday I wrote about the heroes of the Iliad & Odyssey, and I wasn't overstating the level and true meaning of what is happening at San Francisco. This is not just great Sailing & Catamaran Racing, we are seeing Live a modern Epic Battle as never seen before, think about it for a minute: These boats are larger than Life , get me an analogy that involves such beasts , such a Show , such tremendous display of adrenaline , drama, speed & strategy in an Extra Large package... Nascar? Olympics? World Leagues? NBA? Football? Extreme Sports? All great spectacles, but Nothing can reach the gigantic dimensions & level achieved at SF by the AC72s, absolutely Nothing. Well, maybe two Tall Ships Foiling ?! This Cup Edition on Multihulls is too much of everything, and it will be remembered as one of the most important and significant sport events in History. Only the ancient Romans had a similar show and this Cup without a doubt is the "Circus Maximus" of our Time.